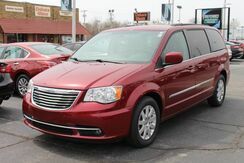 Preferred Auto Fort Wayne State is excited to offer this 2013 Chrysler Town & Country. Driven by many, but adored by more, the Chrysler Town & Country Touring is a perfect addition to any home. The Town and Country's 283 horsepower Pentastar V6, which includes a driver-selectable 'Fuel Economizer' mode is mated to a 6-speed transmission and uses premium low rolling-resistance tires to deliver an estimated 17 mpg city and 25 mpg highway. Strengths of this model include luxury interior appointments, powerful engine, advanced technologies with navigation., electronic entertainment with DVD system, and impressive airbag array and safety engineering. The re-engineered Town and Country's 283 horsepower Pentastar V6 with a driver-selectable 'Fuel Economizer' mode is mated to a 6-speed transmission, and uses premium low rolling-resistance tires to deliver an estimated 17 mpg city and 25 mpg highway. The revised suspension for the 2011 model year results in drivers enjoying an agile, confident, exhilarating driving experience. Strengths of this model include advanced technologies with navigation., luxury interior appointments, impressive airbag array and safety engineering, and powerful engine. 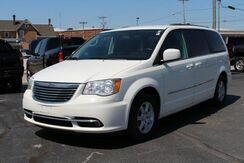 This outstanding example of a 2010 Chrysler Town & Country Touring is offered by Preferred Auto Fort Wayne State. 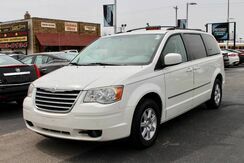 For the family on the go, the Chrysler Town & Country is a winner. The interior can be configured for as few as two passengers and as many as seven. The innovator of the minivan market also keeps everyone safe with standard airbags, anti-lock brakes, stability control and more.